Get Canberra Group Accommodation Quotes Right Here Right Now! Huge Discounts - Hotels, Motels, Dorms, Apartments. 2. Receive Your Canberra Group Accommodation Quotes Within 24 Hours. 2. Check Out What 25 Years of Happy Customer Say. 3. Book Now - Our Exclusive Deals Generally Require No Upfront Payment. 4. Australian Business Number 83 067 858 342 / Travel Industry Designator 968 33 203. Group Accommodation Canberra – read the low down here. Group Accommodation Canberra is now on par or better than anywhere else in Australia. It is also something most School and Sports Groups will find themselves needing. Here at Just Group Accommodation we have assisted School and Sports Groups find the right accommodation in Canberra Since 1994. There is a huge range of variable accommodation options but it is easy to get lost especially for large groups. 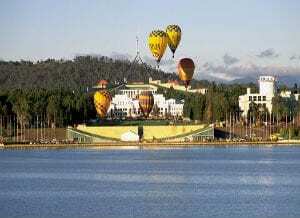 Group Accommodation Canberra – let the experts organise it! We at Just Group Accommodation offer competitively priced dorms, apartments, hotels & motels all within 15 minutes of Canberra’s key attractions. Accommodation options often offer full catering and free parking along with a range of different room configurations. Tariffs can vary according to the season but we at Just Group Accommodation offer School and Sports Groups year round savings starting from as low as $50 per night. Group Accommodation in Canberra needs to be organised early. Most school groups will book their accommodation at least one year ahead and on a rolling basis. This scenario makes it very difficult for a new school or sports group wanting to break into the accommodation cycle. This is especially evident if travelling within the school term. Why not contact us now for a Fast Obligation Free Quote! 30 years of Canberra travel experience – all yours at no charge. Provide information on public transport, restaurants, sporting ovals, venues, etc.